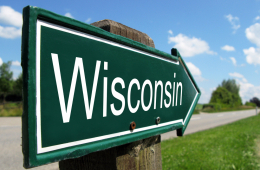 In 1999, Wisconsin passed a statue which prohibited political subdivisions of the state from regulating firearms. The statute was expanded in 2011 with the passage of the shall issue permit law, and again in 2015 when knives were included as items protected by the law. The City of Madison political structure has been ideologically opposed to the right to keep and bear arms for decades. It has paid out in lost lawsuits when it attempted to criminalize open carry by claiming that open carriers were “obstructing justice” and charging them with “disorderly conduct”. After Wisconsin passed the shall issue reform law, the City of Madison’s Transit and Parking Commission created a rule banning weapons on the City buses. They were sued by Wisconsin Carry, a Second Amendment activist group. The City’s argument is that the City did not pass an ordinance or a regulation, or even a resolution. Rather, the City merely created the Transit Commission, which then created a rule. They contend that the City is not responsible for what the Transit Commission does. Wisconsin Carry’s attorney, John Monroe, argued Friday that a state law preventing a city from regulating firearms should restrict the city from granting that authority to a commission, such as the transit commission in Madison. While a city can grant power to a subdivision, he argued that “such power is limited to the power that the city has in the first place,” and the state has not given the city power to pass weapons bans on buses. Ryan J. Walsh from the Office of the Solicitor General argued on behalf of the state, which filed a friend-of-the-court brief supporting the gun rights group’s position. Walsh pointed out that the statute at issue was not intended to keep guns off municipal property. “The legislature has not given cities a free pass to ban firearms on their property,” he said. But Madison assistant city attorney John Walter Strange Jr. claimed the challenged statute only restricts municipalities from enacting laws that are more strict than the state law. The gun rights group’s argument fails before it reaches that point, Strange added: the state forbids a city from passing regulations. In this case, the city’s regulation stops at creating the transit commission. It is the commission that enacted the weapons ban. In this case, the Transit Commission is an entity created by the City of Madison. If their argument is correct, and the city wishes to infringe on the right to keep and bear arms, (which they have abundantly demonstrated) they need only create a “weapons commission” that then passes “rules” about where weapons can be carried and how. As the “rules” were not passed by the City, they would not be affected by the State preemption law. Wisconsin had a clear choice in April, 2016, when voters elected Rebecca Bradley to the Supreme Court. The turnout was the highest ever for a Supreme Court race. Bradley had been appointed to the court seven months earlier by Governor Scott Walker. Bradley is a clear originalist and conservative; her opponent was unabashedly “progressive” and activist. The Court moved further away from judicial activism when the former Chief Justice, Shirley Abrahamson, lost a lawsuit attempting to regain her position as Chief Justice. Court members had voted for a justice to replace her, after a Constitutional amendment was passed to change the method of selection. Chief Justice Abrahamson had been a powerful “progressive” voice on the court. The Wisconsin Supreme Court now has a solid originalist majority.